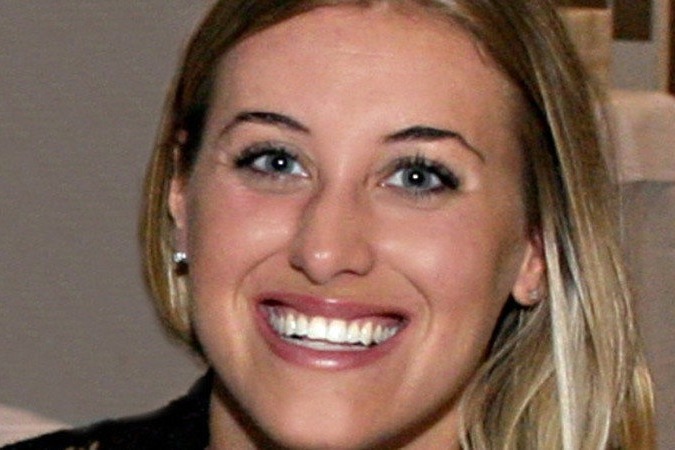 Jennifer Kesse, a UCF graduate, was abducted from Orlando, Florida 13 years ago. We, her family Drew, Joyce, and Logan, and friends believe she was taken the morning of Tuesday, January 24, 2006 from in or around her Orlando, Florida home. No one has seen or heard from her since. After 13 long years, the Orlando Police Department and other state and federal law enforcement agencies were never able to crack the case. There is no named suspect. There is not one solid lead. 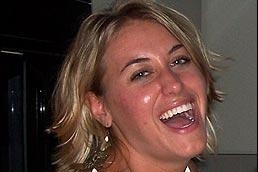 Jennifer, 24, vanished without a trace. In 2018 we filed a lawsuit against Orlando Police asking them to close Jennifer's case allowing the case files be released to us and our private investigator. In March 2019, we settled with OPD and now have the rights to Jennifer's case. Over the course of the 13 years since Jennifer disappeared, we spent every penny to our name trying to find her. We are broke. We are humbly asking for your financial help so we can continue attacking Jennifer's case both on the legal and investigative side. Your donation will pay the monstrous legal fees as well as pay the private investigator who is already reading through the case files. We will never give up on finding Jennifer and we truly believe with your help we can bring her home. We thank you all for joining our fight. After 13 years since Jennifer was abducted and over 2 years of pressing the Orlando Police Department and the city of Orlando to allow us, Jennifer Kesse’s family, FULL access to her case files, through legal channels, we have come to an agreement with the City and Department whereby we will finally receive a copy of Jennifer’s full police files UNREDACTED as we have been fighting for, for so long! It is an absolutely HUGE step forward in our fight to find Jennifer. One challenge has been achieved in getting access to the files, but the ultimate goal of finding Jennifer still remains and it will be a daunting task after 13 years GONE. Now more than ever we are desperately in need of your financial support. Through your generosity we have raised approximately $29,000 to date of which ALL has been utilized in our legal and investigative fight to find Jennifer to date. Although it is an incredible amount your generosity has afforded the fight, we are well over $75,000 in debt to our team of professionals just getting to this point and the true fight to find Jennifer has just begun. The files release alone cost $18,000 just to replicate them. We never thought we would be down this road 13 years later finally winning access to Jennifer’s files and find that it has taken every dollar of our life savings plus the generosity of so many from this Go Fund Me campaign. We have won a battle and now need help in winning the War. We ask you to imagine getting this far and having to stop efforts because funds have run out. Over $500,000 of our personal money has been utilized and exhausted to date. Our legal and investigative team will not stop their efforts, that they have assured us, however no one works for free forever. It is in this desperate situation that we must continue to ask for your financial help as well as helping us pass this plea on to everyone you know in any and every way you know how. Please do this solely for Jennifer – she needs to be found and she needs to come home. You may read about Jennifer’s story at www.findjenniferkesse.com , Twitter @findjennkesse and FB Find Missing Jennifer Kesse Home/Community and Group pages. As Most of you know we have started the legal process in Orlando to try and gain access to the Police Files on Jennifer’s case. It has become obvious very quickly that this process is going to take time to make its’ way through the system and it will take a fairly large sum of money to see it through the process. In addition to the legal fight and truly more important is the Investigative push now under way in which our personal Private Investigative Team has started their process in the effort to find Jennifer. The Support you have shown Jennifer and our family has been incredible and invaluable. We thank you for caring and acting, we are deeply humbled. We have made this request before and it is one of the hardest things we find we need and have to do if we want to find Jennifer. We would like to ask again for your financial help in our fight to Find our Daughter, Jennifer Kesse. If you have given a donation in the past we can’t thank you enough. We would ask though, that you please pass on the link to Jennifer’s Go-Fund-Me page, https://www.gofundme.com/help-us-find-jennifer-kesse , to everyone in your address book as well as your social media sites, we are in a desperate situation financially. All donations will be used for Legal and Investigative services only. We have exhausted our savings and Investments over the past 13 years, yet we are most in need now. We truly believe in the short time our Legal & Investigative Team have been working on Jennifer’s case, we are making incredible strides of putting the pieces of the puzzle together in locating her or the person who took her. It is a feeling we have not had in 13 years. It does have an incredible financial burden with it, which is why we must swallow any pride and humility we have left and ask for your help. Costs are running between $10-15,000 a month currently and conservatively, so to say the least it’s a huge amount of money for us to come up with. To date we have received a little over $20,000 in donations and we can’t thank you enough. We truly believe we have the best chance of finding Jennifer ourselves now. The normal route has not produced any viable results. It is time to use unconventional means to an Abduction which has stumped our law enforcement officials. We will not give up on finding Jennifer. It is not in our DNA. Please also visit Jennifer’s website www.findjenniferkesse.com , Twitter @findjenniferkesse, Facebook Find Jenniifer Kesse community. Happy holidays to all. Joyce, logan and myself want to thank all of those who have supported our campaign in trying to access Orlando police departments case files on Jennifer. On 12/10/18 we did file a civil suit against OPD in an effort to do just that(wee are suing for access not money). So it is now in the courts hands and we have great hope for a positive outcome although we are told the process will be long and expensive since appeals are sure to follow. Then there will be the matter of investigating those files by our investigators to try and bring us to Jennifer’s whereabouts. So we have a long road still ahead of us and we ask that you pass on this campaign to all you know so that we may continue financially our fight to find Jennifer. Thank you again for the support you have shown Jennifer and our family for almost 13 years. You give us strength and hope. Joyce, Logan and I want to thank all those who have donated to date. We are humbled by your support and together we will find the information needed to lead us to Jennifer. Knowledge is power and once we are able to have our legal and investigative team access the case files we feel confident we can start in the right direction. Please continue to pass on this effort to all you know. Again we thank you all for being there for us and with us for 13+ years in some cases.